As common as head lice and nits are, there is an abundance of persistent misunderstandings about them. 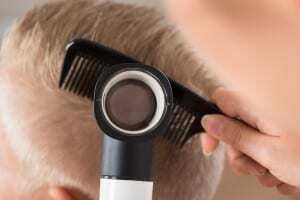 In this article, Lice Lifters looks at the top myths about nits in DFW. Myth: Nits are easy to spot. Truth: Unless a child has a severe infestation, head lice can be extremely difficult to spot, especially on dry hair. The best way to check for head lice is to coat the scalp and hair with conditioner, then comb through small sections at a time with a fine-toothed lice comb, wiping the comb on a paper towel as you go. Under good light and with a magnifying glass, check the paper towel for small brown critters that may look like sesame seeds (the lice) and white specks (the eggs). Myth: Nits (lice eggs) can fall off a person’s head, hatch and cause another person to get lice. Truth: Nits are glued to the hair shaft by a cement-like substance and are very hard to remove. When a nymph (baby louse) is hatched, it must quickly have the warmth and food source of a head to survive. Myth: “No-nit” policies reduce the risk of head lice in schools and child-care facilities. 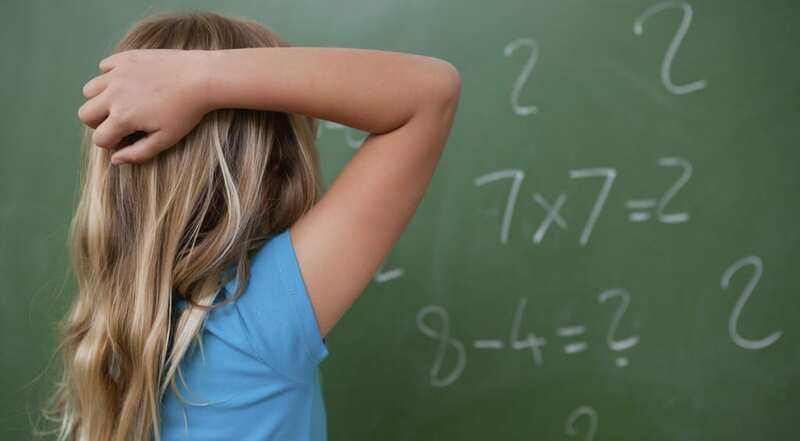 True: Research shows “no-nit” policies do not decrease the number of cases of head lice. They do increase the risk of incorrect diagnosis of head lice, the number of days children are out of school, and negative social stigma associated with head lice. They also may hinder academic performance. If you live in the DFW area and someone in your home is dealing with head lice, give our experienced Lice Lifticians at our Frisco location at 972-294- 3539 to answer any questions. We’ll be happy to answer whatever questions you may have. There are many myths surrounding lice and how to handle them. Lice Lifters put together this article to keep DFW area residents informed about the truth regarding lice. This isn’t true. In our experience, only about half the people with head lice actually experience an itchy scalp. So even if a person isn’t experiencing an itching sensation, they could still have head lice. That’s one of the reasons our company offers head checks, so you know for sure. This is another myth we hear all too often. Lice don’t prefer dirty hair over clean hair. Since lice need human scalps to live, they will happily take up residence on whoever comes their way. Luckily, there are some natural deterrent that can help. Head lice don’t like mint. So, that why we have a Lice Lifters Mint Detangler Spray that can be used anytime to naturally keep lice away. Nothing could be more false. Head lice can ONLY live on humans. So, don’t worry about the possibility of getting lice from your family dog or cat, that’s a myth. Again, this is a myth that could lead to another outbreak of head lice in your home. That’s because in order to completely eradicate lead lice, you have to make sure you take care of the head lice and the nits. Shampoo will not free hair of nits. If you or someone in your family may have head ice, give Lice Lifters a call at (972) 805-1308. We’ll be more than happy to share our current products and services with you so that your family will stay head lice free. Part of our mission at Lice Lifters is to make a difference by spreading the truth about lice, how we get them, and how to get rid of them. Nevertheless, myths abound in popular culture, and well-intentioned parents find themselves bombarded with falsehoods on a regular basis. Today, let’s take a look at some of the most common myths surrounding lice and dispel them once and for all. MYTH #1: Lice prefer dirty hair. Not true! These creatures are equal opportunity and do not discriminate on the basis of shampooing frequency. 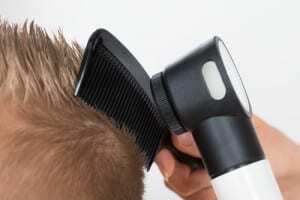 In fact, lice may be more likely to infect clean hair because it is easier to attach to a squeaky-clean hair shaft. MYTH #2: Lice can inest your home. False! Lice can only live away from a human host for 24-36 hours – they can’t even live on your pets. The eggs, or nits, cannot survive if not attached to a hair shaft. That said, excessive cleaning measures in the home are simply not necessary. A good vacuuming and hot tumble in the dryer for any bedding or stuffed animals should be sufficient. MYTH #3: Lice like long hair. Sure, lice like long hair – and short hair as well! Bottom line: boys or girls with short hair are not protected from lice any more than those with long tresses. Even kids with buzz cuts can get lice! If there’s an outbreak in your area, check long- and short-haired family members with equal scrutiny. MYTH #4: If I’m not itchy, I can’t have lice. Wrong! Only about half of people who carry lice experience stereotypical head scratching. It is lice bites more than the lice themselves that cause itching, and it can take 3 to 4 weeks for the bites to become an issue. If one family member is diagnosed with lice infection, have everyone checked regardless of symptoms – mom and dad, too! If you suspect a lice outbreak in your family, the best thing you can do to prevent spread is to start treatment immediately. Using a professional service like Lice Lifters is the easiest way to eradicate the problem before it spirals out of control. We offer head checks for the entire family and apply the cost of the check toward our guaranteed treatment. Plus, you’ll love that our highly effective protocol is safe, natural, and nontoxic. Should your family be the target of these persistent parasites, please get in touch with the Lice Lifters team – call 972-805-1308 or contact infodfw@licelifters.com.